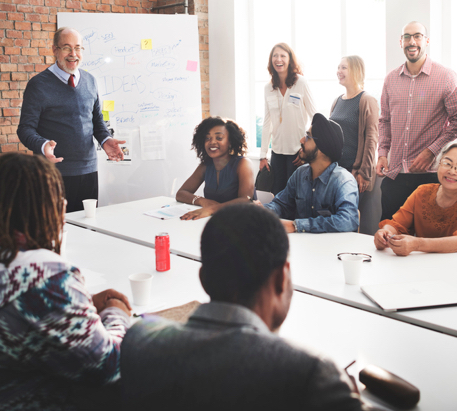 With over 30 years of experience in the local staffing industry, JIBE Staffing has found success in our passionate pursuit to connect great people with great organizations. We are a values-based organization that approaches every interaction with integrity and strives to ensure that every placement makes an impact. At JIBE Staffing we do things a little differently. We don’t just act as a pipeline, blindly pumping workers into your organization who exit almost as quickly as they appear. We provide a system of professional development and training that prepares our talent to enter each placement with the skills and the attitude they need to succeed. In addition to our years of light industrial and professional staffing experience, Jibe Staffing is also a leader in creating client specific onsite programs and high volume recruitment programs that meet the specific needs of our individual clients. JIBE Staffing understands that our success depends on the success of the organizations for which we staff. We also know that for those organizations to excel, they need individuals with the drive and skills to deliver a positive impact. At JIBE, we find great people who already have the drive, then we provide them with pretraining, maximizing their professional potential. We believe in providing our partners with not only the most prepared talent but also the most secure. We do more than simply satisfy the minimum legal requirements for screening. We incorporate an extensive battery of tests and checks, including background and drug, as well as ensuring that every individual we recommend and place is eVerified. Every measure implemented by JIBE Staffing is deliberate in the effort to propel the careers of driven and competent professionals. We provide trainings and professional development to help the individuals we assist gain a better understanding of the career paths available to them and how best to maximize those professional opportunities. With extensive experience in light industrial staffing, as well as staffing expertise in professional services, including human resources, administrative and clerical sectors, JIBE Staffing has the passion and the professionalism to deliver an exceptional experience to both organizations and the individuals we place. Our mission is to create avenues for long-term success and committed partnerships. We accomplish this mission by providing businesses with diligent and driven individuals who are prepared for success. We prepare those individuals by equipping them with the tools and training they need to grow their careers. At JIBE Staffing, we have a golden opportunity to positively impact the lives of employers and job seekers. This opportunity is a privilege and an honor and is why we love what we do.